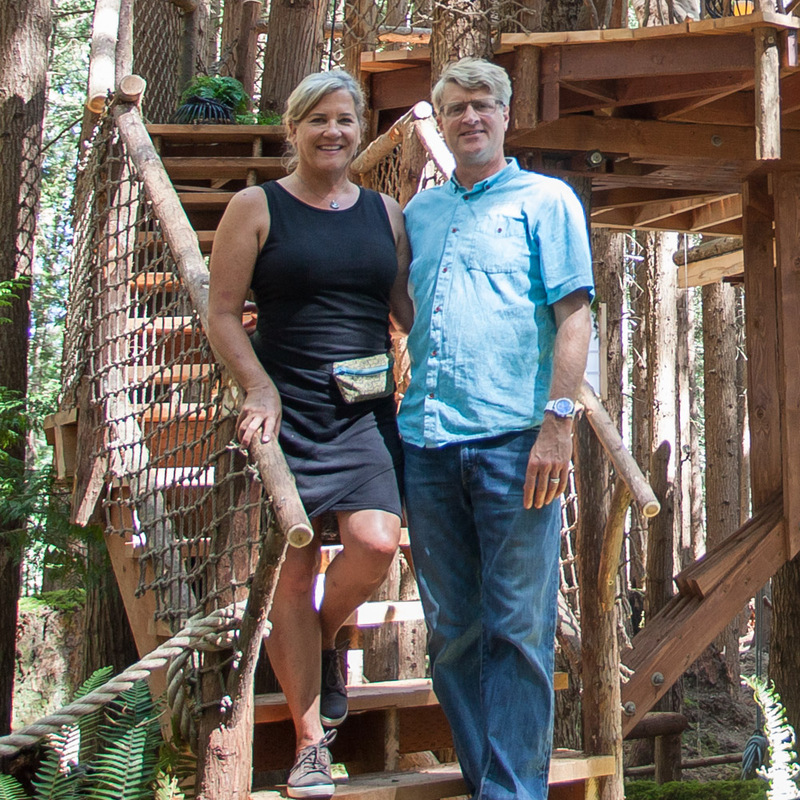 Pete and Judy Nelson's original treehouse B&B, TreeHouse Point, is nestled at the heart of the Snoqualmie Valley in Washington State. A weekend stay at TreeHouse Point is the perfect opportunity to explore the valley's natural, culinary, and cultural delights. Emily Nelson and her husband, Patrick, call the Snoqualmie Valley home - they even got engaged at the Snoqualmie Falls! This travel guide is based on Emily and Patrick's favorite things to do in the area. Emily asserts that following this guide would make for "truly the perfect summer weekend." 3:00 PM - En route to TreeHouse Point, stop by PCC (a local chain of natural markets) in Issaquah (1810 12th Ave NW) for picnic supplies and snacks for the weekend. Emily and Patrick's picnic staples include olives, a couple of cheeses, a baguette, the deli's Emerald City Salad, a bottle (or two) of wine, and LaCroix. Make sure to pick up ice at PCC or at the gas station near TreeHouse Point, as there is none available for guests at the B&B. For more tips on packing the perfect TreeHouse Point picnic, check out our blog post here. 4:00 PM - Head inside the Lodge at TreeHouse Point to check in. Make sure to snag a freshly baked cookie in the dining nook! You can also pick up extra picnic essentials in the Lodge, including baskets and blankets. Follow the map to your treehouse, stopping along the way to take in the forest. TreeHouse Point's grounds brim with prehistorically-sized trees, lacy ferns, and verdant moss. Explore your treehouse and unwind for a bit, perhaps with a glass of wine on your balcony (there are bottle openers to borrow in the Lodge). 5:30 PM - Mosey down to the bank of the Raging River for a picnic dinner. This river is one of the most important local estuaries for the endangered Chinook Salmon and Steelhead recovery. After picnicking, try your hand at a favorite riverbank activity of TreeHouse Point guests: crafting cairns from smooth river stones. 7:00 PM - Jump in the car for a quick drive to the main commercial hub of Fall City for an after-dinner stroll. The Snoqualmie Valley was once a major hops-growing region; stop by the Fall City Community Park (just past the roundabout en route to Carnation - 4105 Fall City-Carnation Road SE) to check out the old Hop Shed. For sweeping views of the Snoqualmie River, walk behind the right side of the adjacent baseball field. 9:30 AM - Head to the Snoqualmie Falls, stopping for fresh Rainier cherries from a roadside stand along on the way. Emily and Patrick prefer going to the lower observation point (37479 SE Fish Hatchery Rd) - there, you can walk past the active hydroplant and down a boardwalk to view the base of the Falls. You can also stop by the upper viewpoint adjacent to the Salish Lodge for a breathtaking view from the top (get there early to avoid massive crowds). 10:30 AM - Continue east toward North Bend, pausing in Snoqualmie to check out the old trains and depot. The Black Dog Cafe (8062 Railroad Ave) is a great place to fuel up on coffee and snacks (they also make a delicious dinner plus hip cocktails at night). Get back in the car and head to Rattlesnake Lake in North Bend (Cedar Falls Rd SE), soaking in the views of Mt. Si on the way. Rattlesnake Ledge (towering over the lake) is a classic hike, but can be crowded in the summer (you can check out our other hike recommendations here). The four-mile treck consists of relatively steep switchbacks and concludes in a rocky vantage point with sweeping views of the Valley (it's stunning, but not best for those wary of heights). If you don't feel up to a hike, you can opt for relaxing and swimming in the lake below—large, partially submerged tree trunks make excellent sunning stations. As of now, you don't need a Discover Pass to park at the lake, but make sure to read signage once there and check out the Washington Trails Association webpage in case the policy changes. 2:00 PM - Head back to North Bend for lunch. For lighter fare, grab some New Mexican street tacos at Rio Bravo (247 E North Bend Way | $1.75+ per taco). If a burger and beer are more up your alley, make your way to North Bend Bar and Grill (145 E North Bend Way | $15+ per dish). Save room for dessert and swing by Twede's Cafe (137 W North Bend Way) for a slice of pie and coffee ($5+). 6:00 PM - For dinner, head north to the quaint town of Carnation (named for the homonymous milk product company, which operated a farm nearby for decades). Ixtapa is a locally-owned chain of Mexican restaurants - the tortilla soup is superb at their Carnation location (4522 Tolt Ave | $10+). Upscale-bistro fare and homemade desserts can be found at Carnation Cafe (4760 Tolt Ave | $17+). After dinner, stroll along the Tolt River at Tolt-Macdonald Park (31020 NE 40th St). Emily and Patrick recommend walking up the bridge there for a prime overlook of the river. For a more budget-conscious dinner option, pick up sandwiches and local produce at the Fall City Market (33521 Redmond-Fall City Rd SE) to bring to Tolt Park. 9:00 AM - Indulge in TreeHouse Point's breakfast again before packing up and checking out by 11:00 AM. Make sure to take a final lap around the grounds and mindfully soak in the sounds of the forest. This meditative practice of "forest bathing," called shinrin-yoku in Japanese, is known to improve health and wellbeing. 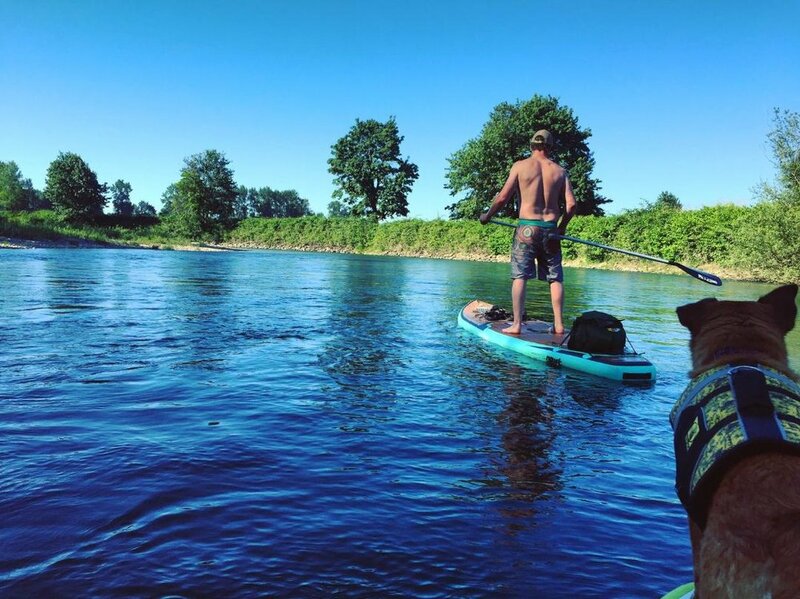 11:00 AM - Rent paddle boards from Experience SUP and explore local waters (1 hour rental: $20). Experience SUP can advise you on the best places to paddle around for an hour or two, and also offers lessons, guided tours, and custom paddle board experiences for groups.